Home » Tech Tips » Windows 10 » How to Change Default Program to Open Files in Windows 10? 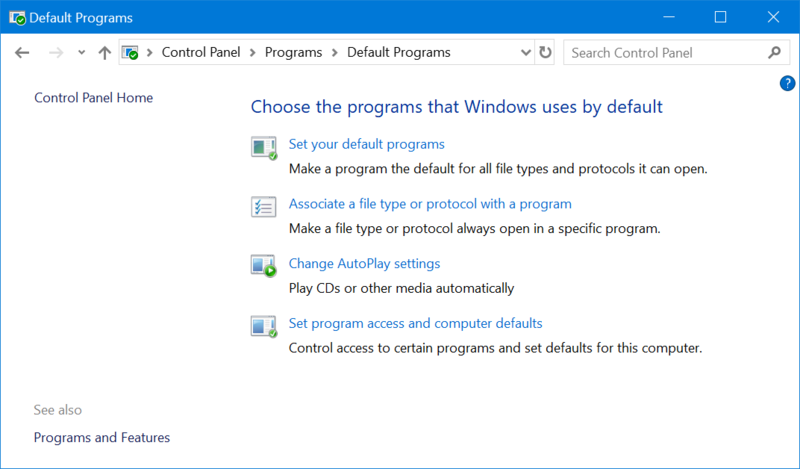 How to Change Default Program to Open Files in Windows 10? You may need to deal with different types of files on daily use. Windows 10 uses certain program to open certain types of files by default. For example, a text file with .txt extension will always open in a Notepad app. It works fine in general scenario for quickly accessing the file content. 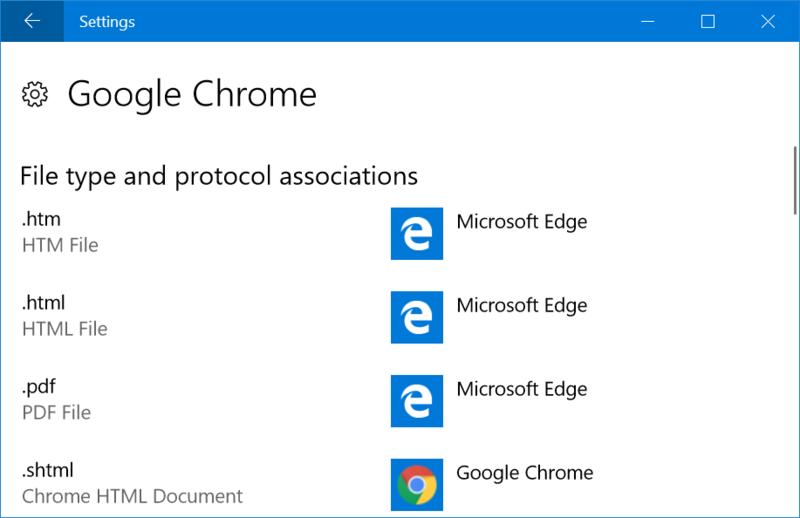 However, it will be annoying to open HTML file in Edge when you want to open it in Google Chrome installed on your PC. Good thing is that you can choose the default program to open a file type in Windows. In addition, you can also setup default applications like browsers for general use and select the different programs on need basis. 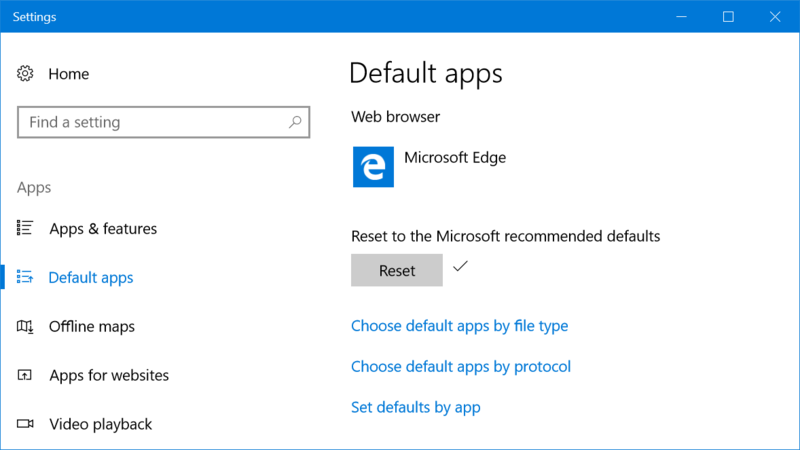 Windows 10 offers a dedicated setting to setup default apps to open different files. Press “Win + I” shortcut keys and open Windows Settings app and click on the “Apps” option. Select “Default apps” from the left sidebar. You will see a list of default apps assigned to open email, music, photos and web browser. Click on any of the app to change the default settings. 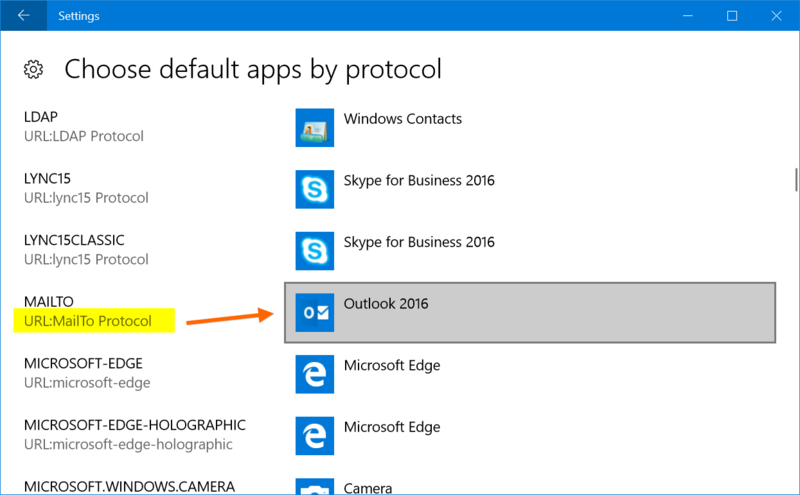 For example, we use Outlook 2016 as a default email client, however Windows 10 recommends using the Mail app. Let us change the default Email client from Outlook 2016 to Mail app. Click on Outlook 2016 and a popup will show all available email apps on your computer. Select Mail app from the list and the default Email app will change immediately. However, when you change the web browser to Chrome or Firefox, Windows will push will push you to confirm the switch. 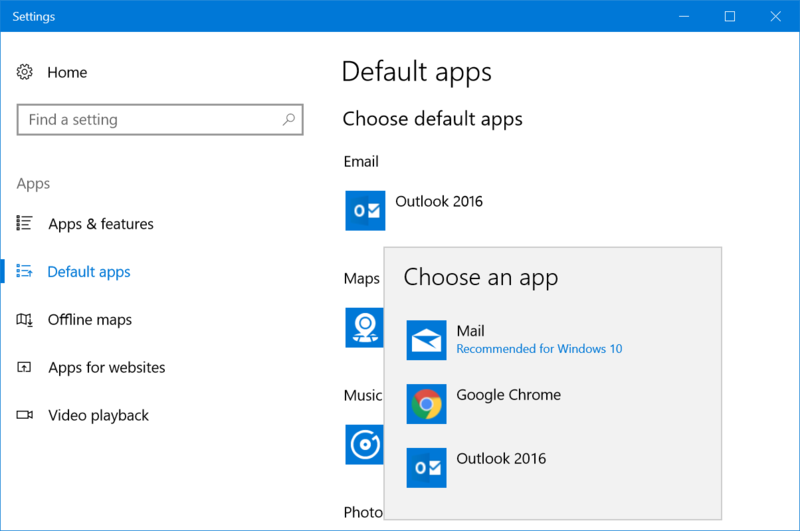 Windows 10 recommends apps like Mail for opening emails. If you have changed the default app settings, click on “Reset” button. This will help you to reset back the recommended apps as your default apps. Scroll down to the bottom of “Default apps” settings screen and click on the link on “Choose default apps by file type”. You will see a huge list of file extensions and the application you can use to open each file type. 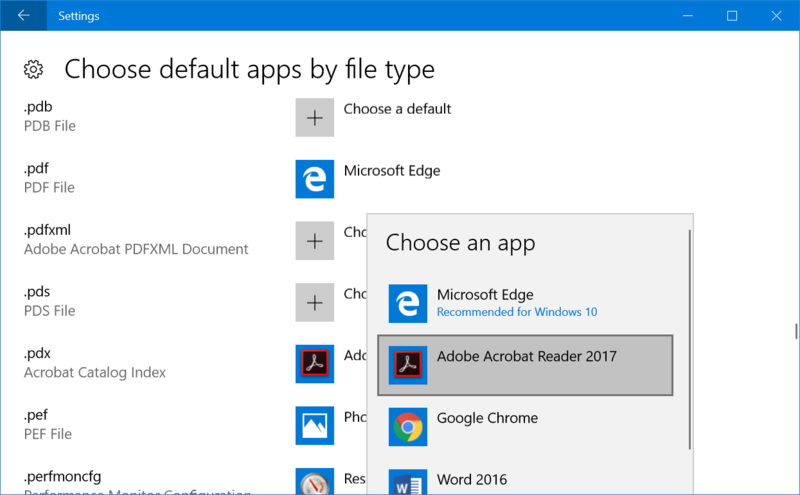 For example, the default app to open .pdf file is Microsoft Edge. However, you can click on it and change to Adobe Acrobat Reader. You will see a “Choose a default” option when there are no default apps available. 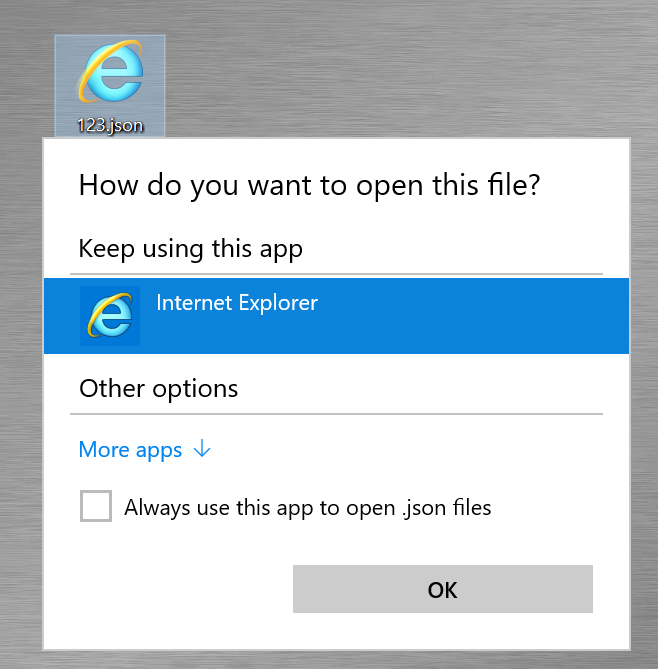 This is a useful option to check and assign apps or install required apps to open a file type. So that each time you do not need to select or search the app. Windows use many protocols to open specific files. For example, it uses the popular HTTP or HTTPS whenever you access a HTML webpages. It uses MailTo protocol for opening email messages. So, click on “Choose default apps by protocol” link if you want to set up default apps according to individual protocols. You can assign a new app when there are no default apps setup or change the existing app by clicking on it and choosing a new one. 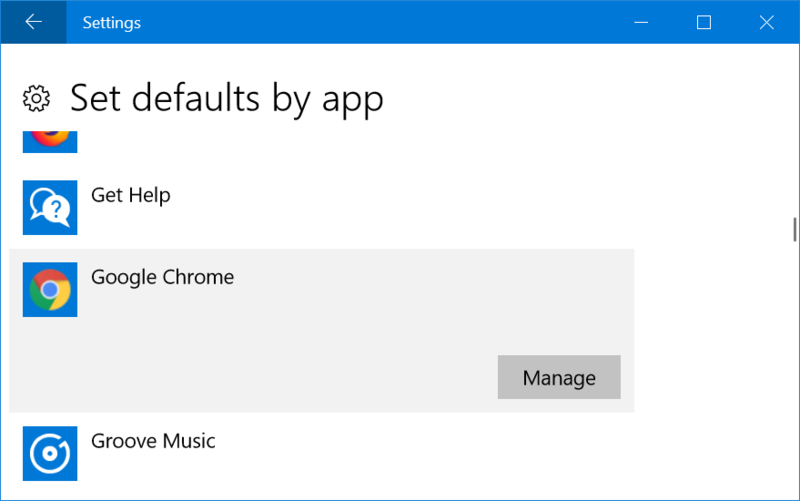 Windows 10 also allows you to set defaults for any installed apps on your computer. This feature is useful when you have multiple apps installed on your PC which can open same file types. Simple example is Firefox or Chrome which open HTML pages similar to Edge. Click on the “Set defaults by app” link and choose the app from the list. You will see a “Manage” button and click on it. On the next screen, you can assign the app to open supported file types. The problem with Windows operating system is that you can the same settings in different ways. Being said that, you could also access “Default apps” settings from Control Panel. Press “Win + E” keys to open File Explorer. Paste this path on the address bar “Control Panel\Programs\Default Programs” and hit enter key. You will see the “Default Programs” settings open from Control Panel like below. Click on one of the following links to go the “Default apps” settings as explained above. It is difficult to setup the default programs in advance when you do not have a specific file on your PC. 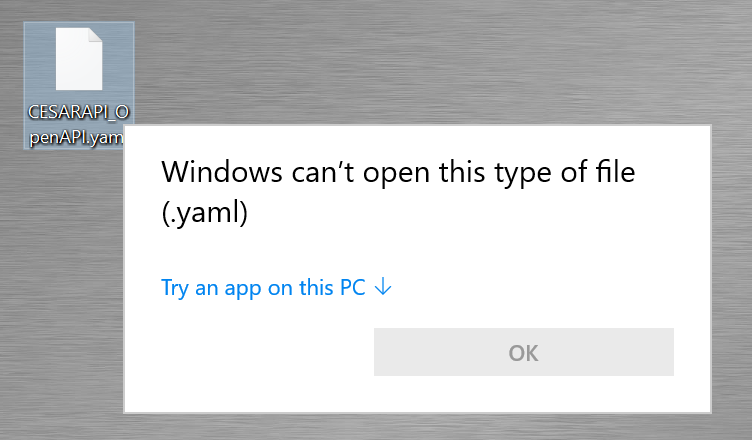 For example, someone can send you a YAML file in email and Windows 10 will not have any default apps associated to open .yaml files. When you have a file with no associated apps, Windows 10 will show the file with plain white file icon. Double click on the file and choose “Try an app on this PC”. You will see list of apps that can help to open the file. Choose an app and click “OK” to open the file. If you always want to open the file type with the selected app, then check the option “Always use this option to open .xxxx files”. Now that Windows will change, the file icon with the selected app icon file and always open the file with the selected apps. In this way, you can setup default apps when you received an unknown file type. Finally, you may have another scenario wrongly assigned a default app to a file type. Do not worry! Right click on the file and you will see different content menu depending on the file type. Click on “Open with…” option. Choose the app you want to change. You can use different app for one time or check “Always use this app… option to change the default app. On certain apps, the “Open with” menu will also show additional sub-menu items like below. 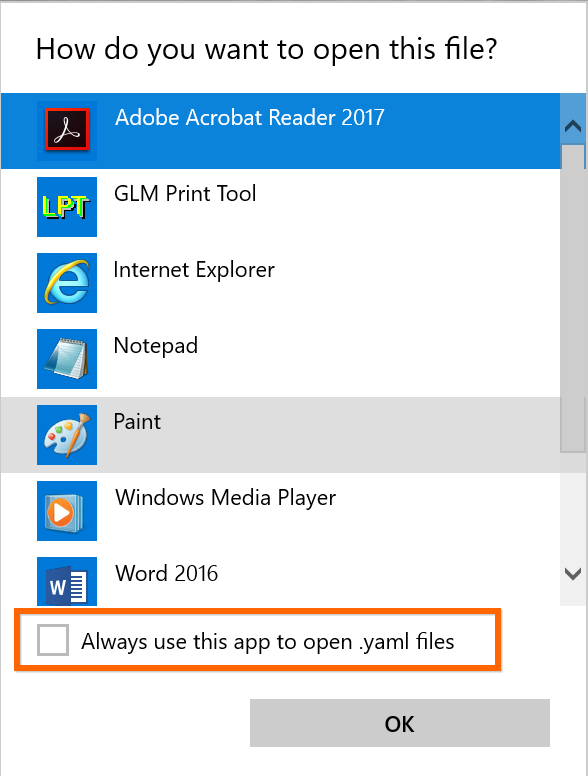 Choose one of the available apps to open the file for one time with that app. 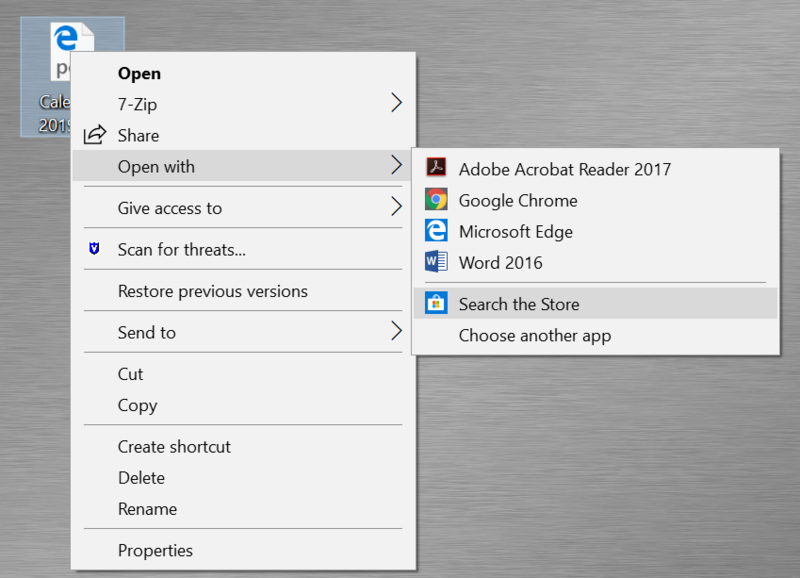 Select “Search the Store” to open Windows Store and search relevant apps to open the file. Click “Choose another app” and choose another app that is not showing in the list. You can use the app for one time and set it as a default app. Many times, you will receive unknown files from your colleagues or friends and you cannot open in Windows 10 default apps. 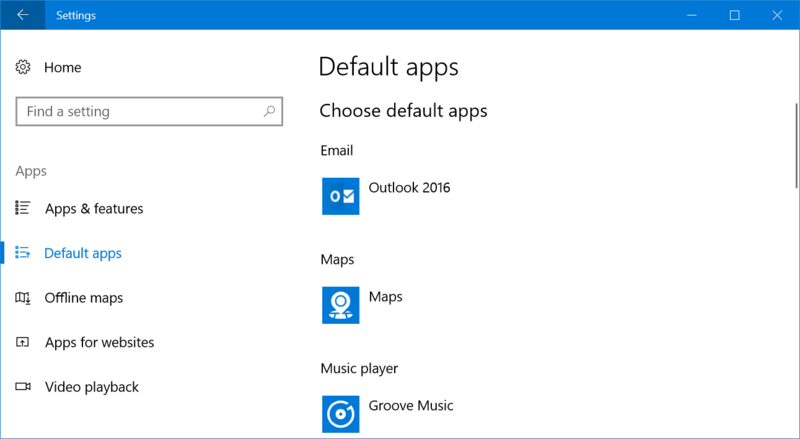 Now you know how to setup default apps, change them and search in Windows Store for relevant apps.